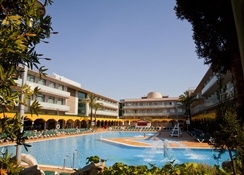 Set in Benidorm’s peaceful Rincon de Loix area opposite the distinguished Benidorm Palace, the Hotel Mediterraneo Benidorm is among the top hotels in Benidorm. The hotel is suited for singles, couples and families alike thanks to its great-value, and is roughly a 17-minute stroll from the beach. There are many attractions near the hotel if you want to explore the area, including the Benidorm Palace, Aqualandia, Mundomar, Levante Beach, and more. 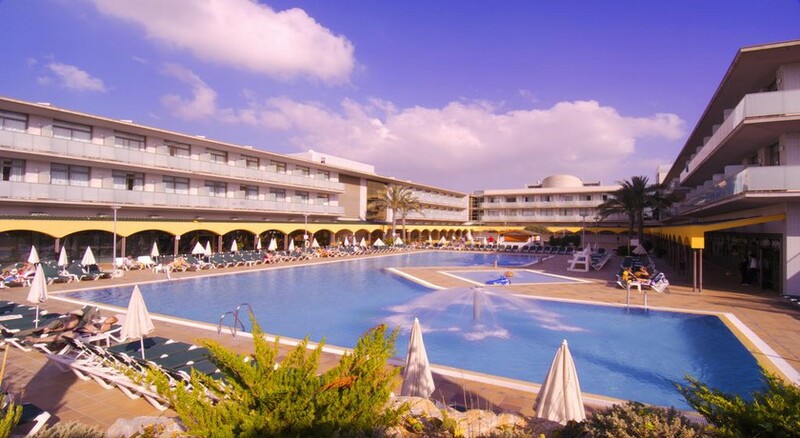 Hotel Mediterraneo Benidorm has a great swimming pool area, including an indoor and outdoor kids’ pool, perfect for splashing in – and the hotel’s kids’ club means parents can relax while their little ones are looked after. Nearby, the Aqualandia waterpark is sure to keep active holidaymakers entertained. Providing some of the best value accommodation when compared to other Benidorm Spain hotels, Mediterraneo offers 176 simple, yet colourful rooms comprised of Single, Twin and Twin Room with a Pool View. The temperatures in Benidorm are pleasant, and if you enjoy swimming in the sea then the average sea temperature is a comfortable 25˚C. The hotel is situated in Benidorm’s quiet neighbourhood Rincón de Loix area and very close to Aqualandia and Mundomar Water Parks. The beach is 900m away and Benidorm Palace 300m away. The Casino Mediterraneo Benidorm is 2.3km away. The nearest airfield is at Alicante at 61km. The Hotel Mediterraneo Benidorm has 176 well-appointed guestrooms. The air-conditioned rooms in contemporary décor come with flat-screen TV with satellite, fridge, telephone, hairdryer and safe (extra charge). The rooms may be with a view or without and private terraces accompany some of them. The hotel’s Riu-Rau restaurant serves Mediterranean and international cuisine and packed lunches can be ordered on request. A kid-friendly buffet is available. There is also a bar for lovely cocktails and a coffee house. The neighbourhood is home to popular Manhattan pubs, La Sal, Mars, etc. for drinks and tapas. 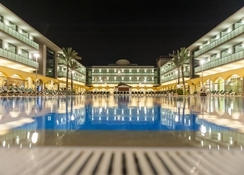 The Mediterraneo Hotel has an indoor and outdoor pool, and a kid’s pool where all members can soak in the sun. There are sun chairs, towels and a solarium. Those wishing to stay active can work out at the fitness centre. There is spa and wellness centre providing massages and therapies and a sauna too. The hotel arranges lively entertainment shows. Tiny tots can keep busy at the playground or kid’s club. The hotel has a games room and facilities for sports like table tennis and billiards (charges apply). Walking distance to all the bars, beach etc. Food was fine. Hotel staff very friendly.